Visiting Hai Phong (Hải Phòng), not only do tourists have many choices of attractions to visit, but also have a wide variety of restaurants to enjoy in. 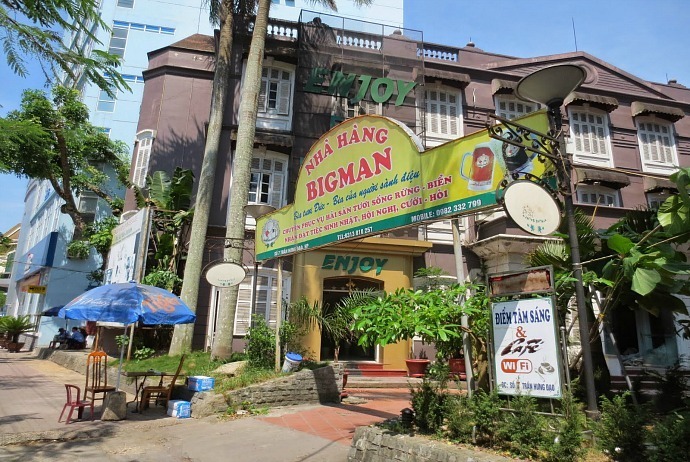 The majority of Hai Phong restaurants are still the local restaurants. Yet, the seafood Ha iPhong restaurants tend to be most crowded, attracting a large number of customers everywhere. 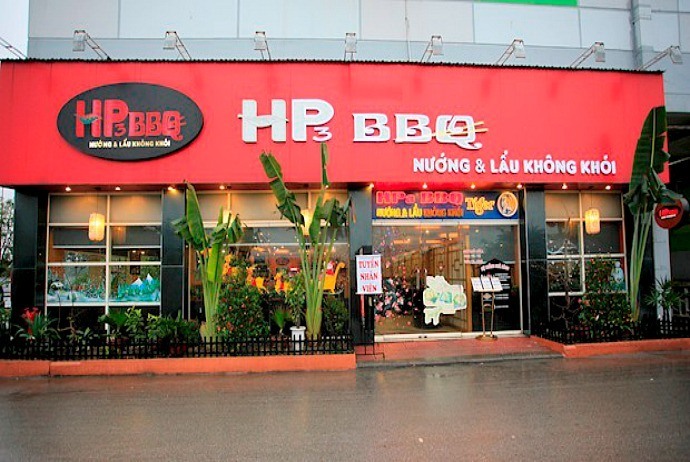 If you are planning your next vacation to Hai Phong, apart from looking for places to visit here, you should also have a list of best Hai Phong restaurants to check out in advance. 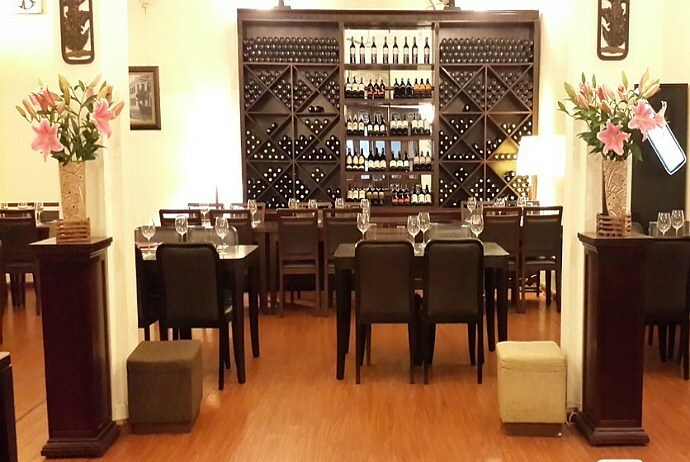 Take a look here to see which restaurants in Hai Phong you should not skip! This sprawling restaurant features with an outdoor terrace along with an extensive, diversified menu of seafood and Vietnamese salads. The most impressive thing about Big Man restaurant is that it has its own beer which has very good taste, according to a lot of experienced visitors. Moreover, the prices here are very reasonable while the staffs are friendly and attentive. Among Hai Phong restaurants, this one is designed according to European style and serves Belgian food. There is a professional bar outside this restaurant, which is ready to serve any beverages you want. To enjoy food, you need to go inside, where the scene is romantic with golden light and a fireplace. When enjoying food here, you will have a classical experience like what you saw in old European films. When it comes to Hai Phong restaurants, this is an elegant French colonial villa, which is well-known for its delicious seafood, including a wide range of crab dishes. Besides, there are more tasty dishes with goat and deer as the main ingredients on the menu. 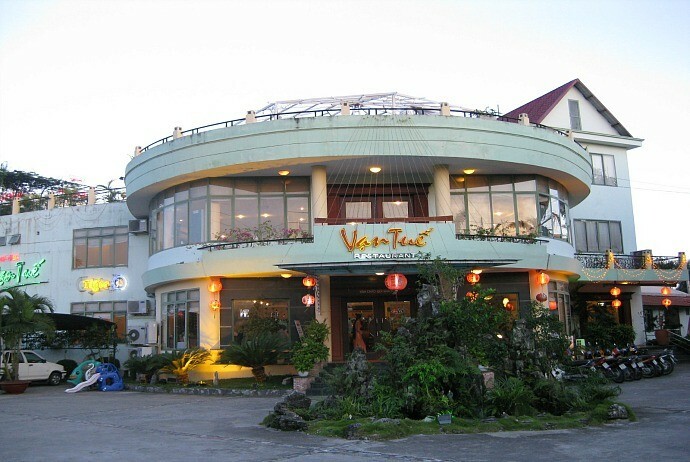 Actually, Van Tue is a favorite destination for families with children. 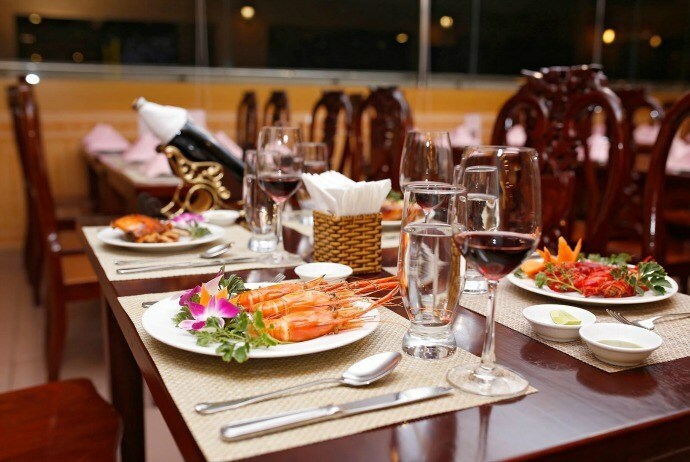 If you are looking for a restaurant with affordable prices, then Com Vietnam is your ideal choice. This restaurant is very common among locals due to its seafood and specialties. Unpretentious and diminutive dishes with small patio are what make the restaurant more standing out from other Hai Phong restaurants. Among Japanese restaurants in Hai Phong, this might be the most famous one. There are a lot of foods served here, including sashimi, tempura, sushi, and beer. They all taste nice. The staffs are attentive with professional serving style. 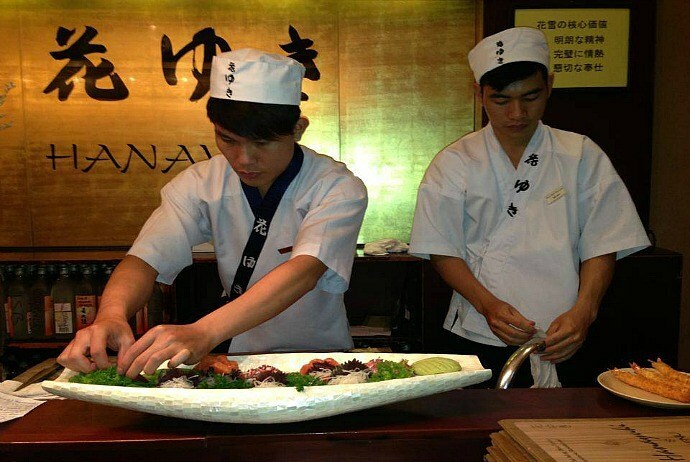 A great destination for those who love Japanese food is Kaminumaya restaurant. The staffs here are friendly and can speak English rather well. Besides, the sushi chef can speak German rather well. You can easily opt for your favorite dishes from an extensive menu of food here. With fresh and tasty food, I recommend this restaurant to every tourist, who visits Hai Phong. In this restaurant, you have various choices because there is a BBQ built into the table along with a buffet which allows you to order whatever you would like to. Not mention to common dishes, the crocodile and buffalo are what make this restaurants standing out from other Hai Phong restaurants. Furthermore, there are delicious coconut ice cream and fresh fruits for dessert, but salad options are limited. Yet, the prices should be cheaper, particularly for drinks. This restaurant is actually a restored townhouse, which serves authentic Thai dishes. The dishes here are nicely prepared as well as presented. You are recommended to try pork salad, also known as lab moo, or pepper squid here. Also, there are some good options for vegetarians too. If you want to enjoy something for dessert, then coconut ice cream is a great choice. 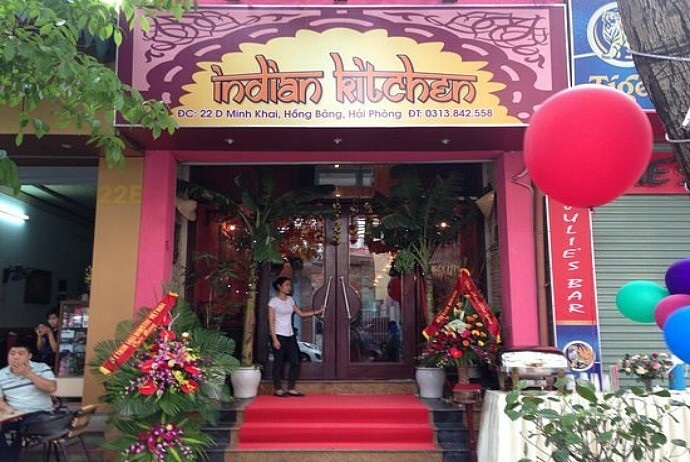 According to Kevin, from Melbourne, Australia, Indian Kitchen is really a worth visiting restaurant which serves great authentic Indian dishes, making him feel tasteful and genuine. Moreover, the Indian host here is so friendly and accommodating by guiding guests what dishes suitable for their favorite taste or not. Besides, the staffs are so attentive and courteous to customers. Kevin said that he was stunning with rice cake (also called chapathi) and beef curry after taking a long journey from Halong to Hai Phong. So, he highly recommended this restaurant. 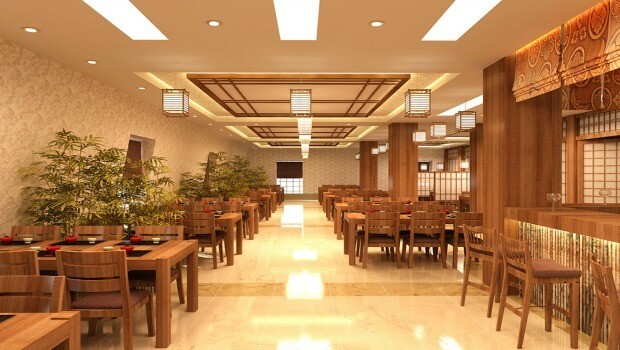 You have discovered 9 best Hai Phong restaurants which are the most recommended for both international and domestic tourists. There are various choices for your own taste, even for vegetarians, so it is unnecessary for you to worry about where to eat when visiting Hai Phong. If you have any idea about this topic, feel free to leave to your thoughts below this post. We appreciate and will respond as soon as possible.